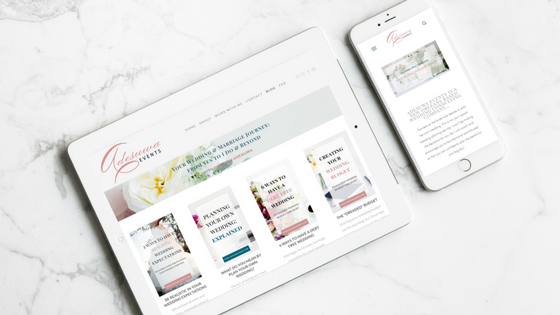 Are you in the middle of planning your wedding and trying to keep everything on track, but constantly feel burned out and drained? Are you looking at your to-do list and seeing that what you’ve accomplished doesn’t explain why you feel so mentally exhausted? Well guess what? That’s because the wedding planning and tasks on your to-do list aren’t the cause of your exhaustion. In fact, the wedding planning probably has very little to do with it at all. More than likely, you have someone around you that’s sucking the life out of you. Are you thinking about it? Do you know who that person is? If you do, I hope it isn’t your fiancé. But, seriously, are you in that camp? It can be a friend, a family member, or co-worker. Are you finding yourself drained at the end of the day because of someone else’s crap? Well, maybe you need to do a little releasing. You are in a very special, yet delicate time in your life. You are not only physically busy with planning your wedding and maintaining your other responsibilities, but you are mentally busy with preparing yourself for what will be your new normal as one half of a married couple. And that’s where your focus should be. Please, don’t misunderstand me, I’m not saying that you should ignore the people in your life that matter to you. Please don’t do that. But you need to be very intentional with whom you allow to take from your well. Now, it’s one thing if you have someone that is going through a rough spat or just needs a listening ear. But if you are spending what little free time you have playing referee between people that can’t get along, or counselor to selfish family members, or banker to this person or that one, your emotional tank will surely run dry. So, for your own sanity, start putting up some boundaries. If you feel your day getting gloomy when you see a certain person’s name come across your phone, pay attention to that and think about why that is. Maybe that person is taking more from you than you have to give right now. Maybe it’s time to remove that stress from your plate and talk to that person explaining how you are there for them, but your cup is empty right now. You won’t feel that way everyday but, when you do, it’s better for you and them to be honest and upfront when their stuff is getting in the way of your stuff. Yes, be a friend to your loved ones and be there for them when they need you, but don’t be taken advantage of, especially right now in your life. Now, this will be especially difficult for those of you who are usually the sounding board for the people in your life. They are probably used to you being there to take that energy from them without realizing that right now, dealing with the added pressures of planning your wedding on top of dealing with their stuff is causing you a lot of stress. Have you ever wondered why you feel better after you vent to someone about a problem, or after talking an issue out with a friend? It’s because you are releasing that negative energy. But what also happens is that person you are talking to is absorbing the energy you released. And most of us don’t realize how much that affects us until we try to absorb that energy while we have added pressures in our own lives. That is exactly what’s happening right now, if you’re feeling drained from the people around you. You are likely absorbing a lot of bad energy causing you to feel exhausted at the end of your day. So, give yourself a break from all that and release some of that bad energy. Have a conversation with that person and find a way to rid yourself of that unneeded stress. You don’t have to get rid of those people from your life, but you can limit how much of their crap you allow them to dump on you. You have a relationship with your fiancé that you need to continue to nurture. You are planning your wedding. And you are navigating your own emotions throughout this process. Don’t allow other people to steal all of your emotional currency. This should be the case everyday of your life, but especially right now as you walk through your engagement journey.